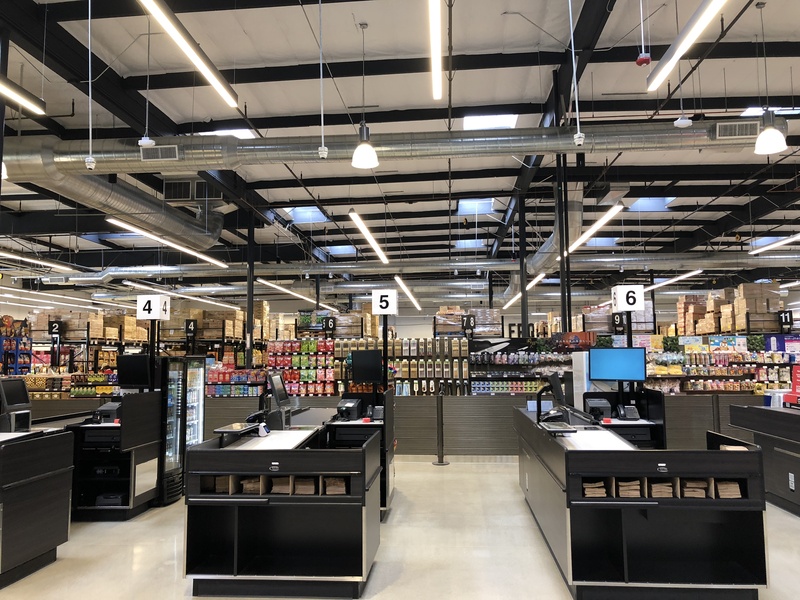 To cater to a multigenerational foodie audience, 99 Ranch Market has unveiled Cravings, a new warehouse-style grocery store and food hall at the Chino Spectrum Marketplace in Chino, California with a grand opening ceremony on Saturday, October 20. 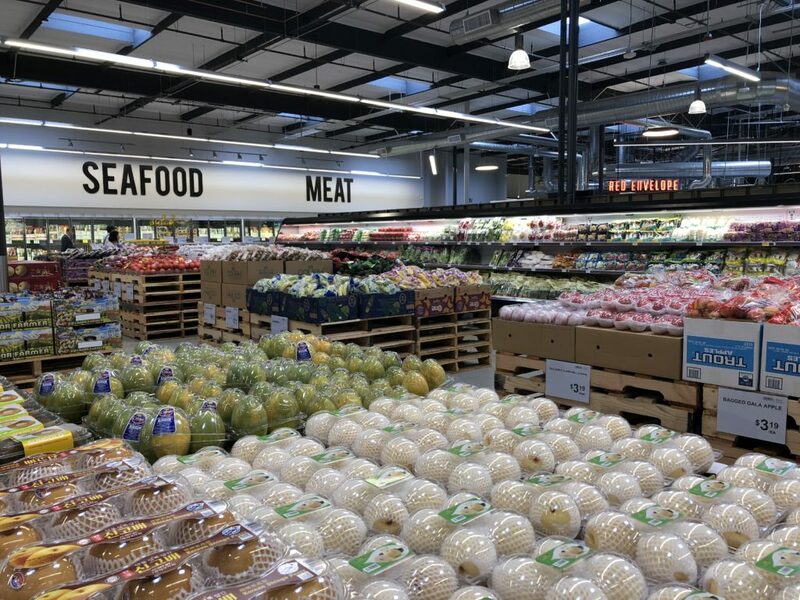 Media as well as local community leaders and members were given a preview of Cravings on Thursday, October 18, complete with a tour of the 56,000-square foot store and tastings from the food hall purveyors. With this fresh concept for the company, one side of the store holds an array of offerings — from fresh seafood and meat to produce to packaged products from around the world. 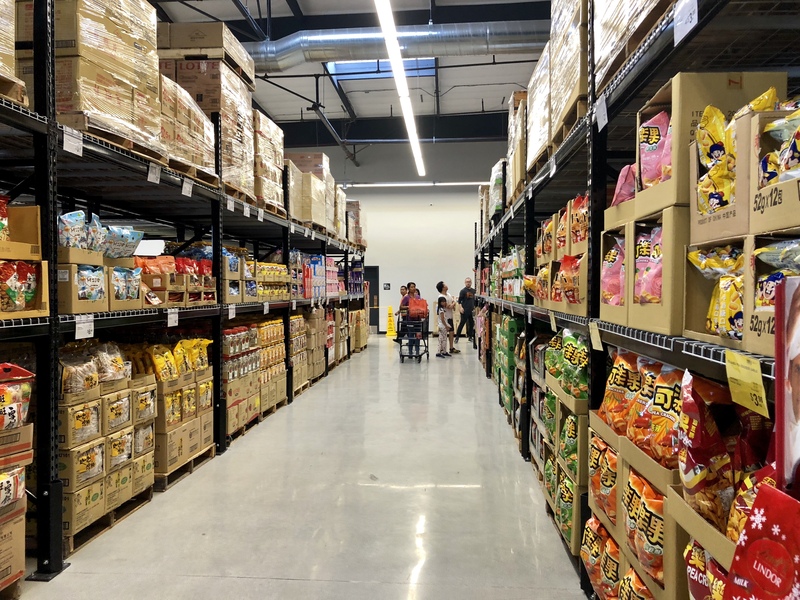 “It will cater to both regular households and food service businesses with a focus on the highest-quality Asian goods,” 99 Ranch Market said in a statement. 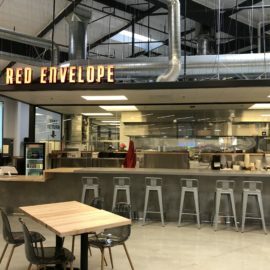 The other side holds the food hall representing trendy and outposts across Southern California, namely Los Angeles and Orange County. 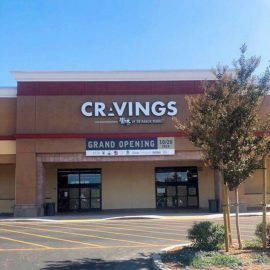 These vendors claim their stakes in the Inland Empire at Cravings. 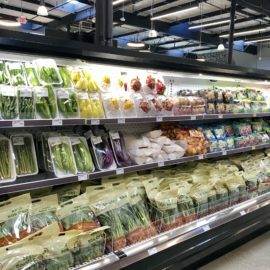 “We really curated these vendors and wanted to hit all the major Asian nationalities. 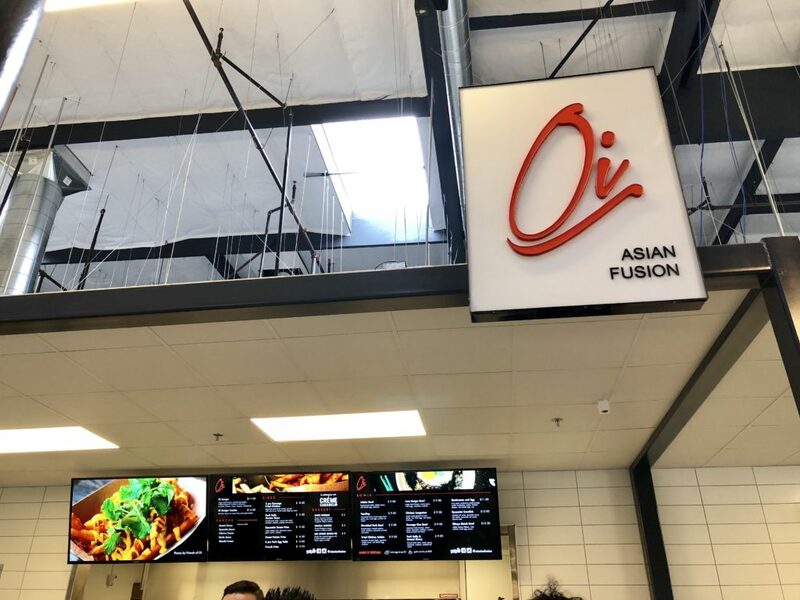 These vendors do fusion food so it’s accessible to non-Asian customers,” Chen told the Asian Journal. 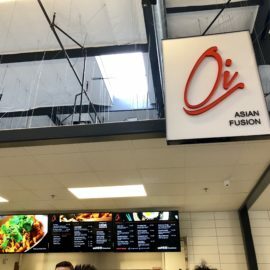 Oi Asian Fusion, simplified Filipino food fused with other Asian cuisines. 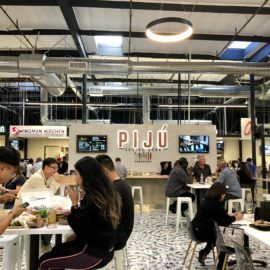 They are known for their rice bowls, from adobo to tapsilog. 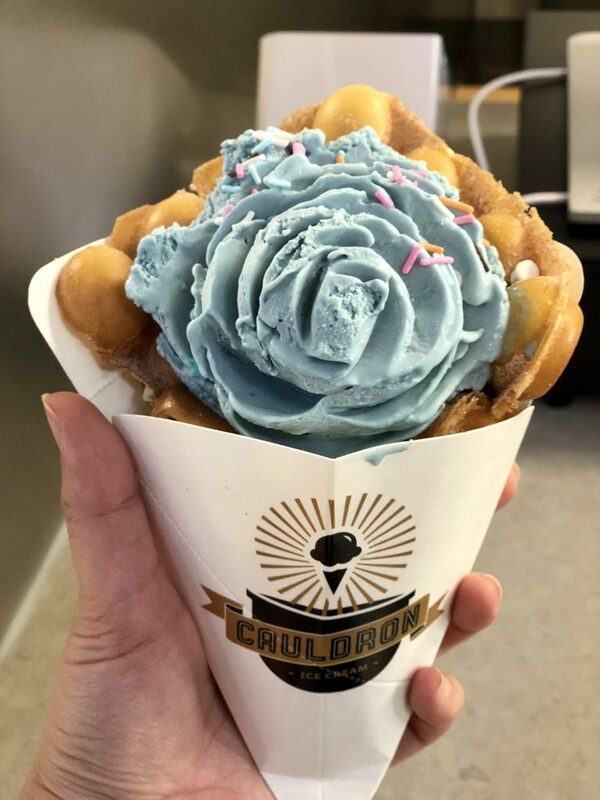 Cauldron Ice Cream, a popular ice cream shop that uses liquid nitrogen and sweet creamy ice cream. 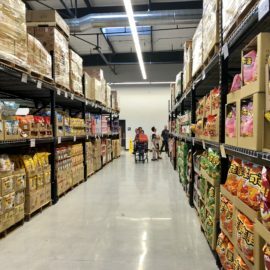 Popular flavors include the Sun, Moon and Stars (a creamy blend of oolong, jasmine, and green tea); the Cauldron (vanilla cinnamon ice cream with Oreo cookies) and Milk & Cereal (sweet ice cream topped with frosted flakes). 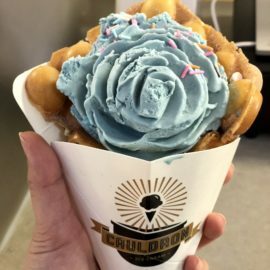 Instead of getting it in a cup or traditional sugar cone, try the “puffle cone” – a Hong Kong-style waffle cone that comes in regular or churro flavors. 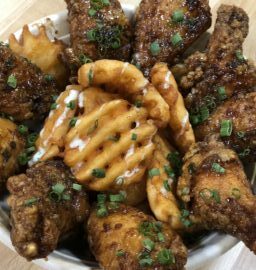 Dos Chinos, a fusion of Latin and Asian flavors. 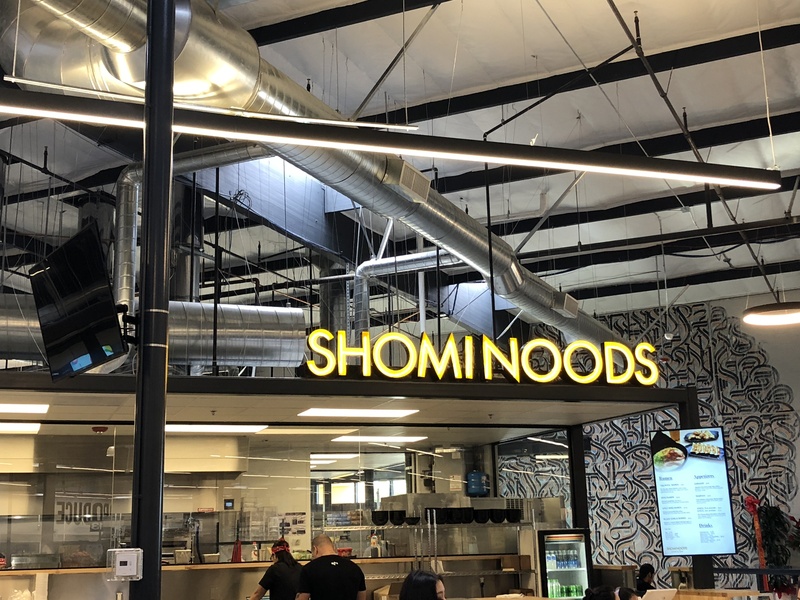 Standout items include the Dos Chinos Asada (Vietnamese chimichurri Angus beef with avocream, onions & cilantro) and Lobster Elote (lobster, aioli, cheddar cheese, roasted corn). Madbun, which is a twist to the traditional Chinese bao bun with special bun flavors like matcha. 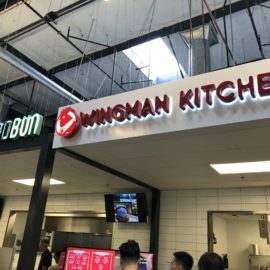 Menu items include the Piggy Smalls (crispy pork belly, kimchi, aioli, daikon, corn cheese, green onion & furikake) and Chicky Minaj (jalapeño sauce, fried chicken, sweet chili, slaw, & pickled onion). The dessert is Ube Yonce (ube ice cream & Nutella in a deep fried bun). 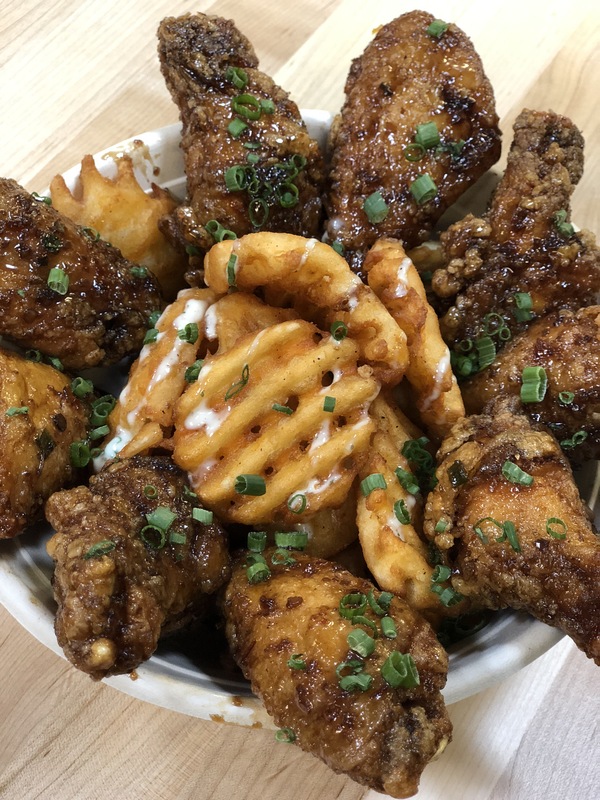 Pinky Promise is a Taiwanese bakery that will have a diverse selection of pastries. 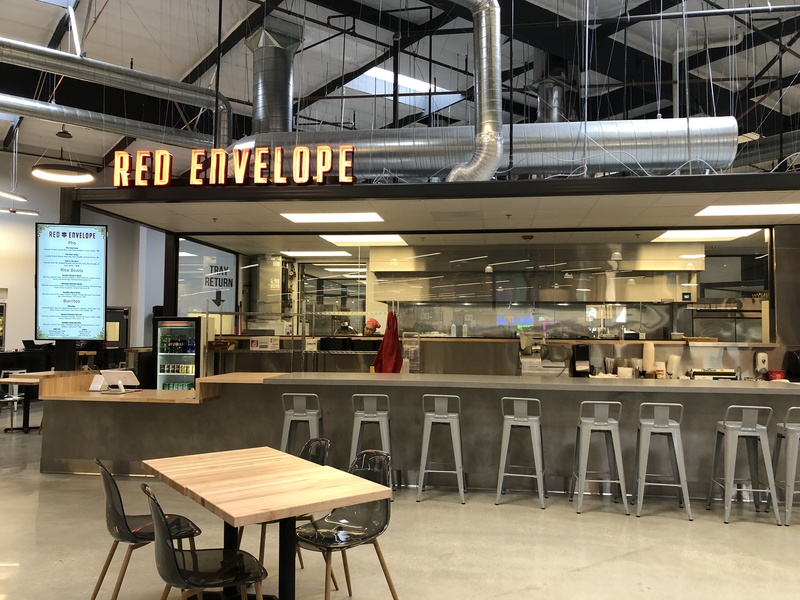 Red Envelope serves up items like lobster and New York steak pho, uni fried rice and katsu bowl. 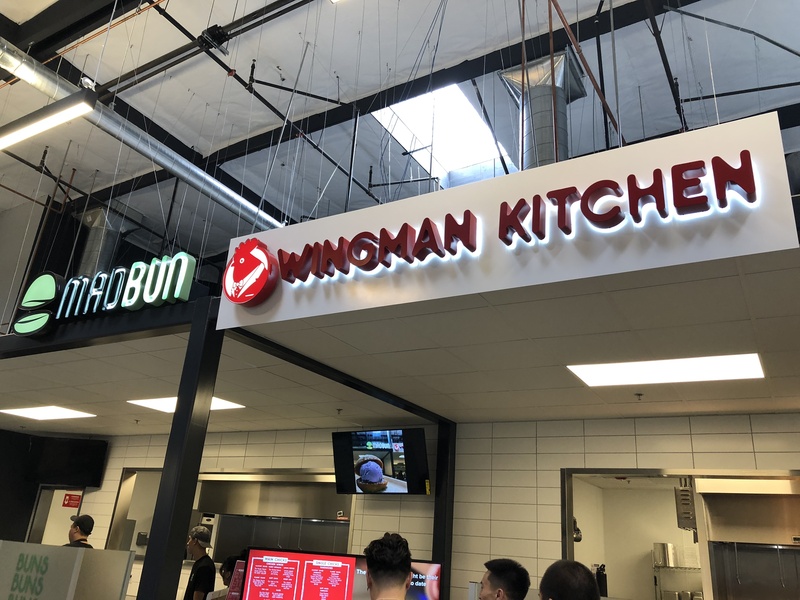 Wingman Kitchen is for chicken wing lovers with a blend of American and Asian ingredients. 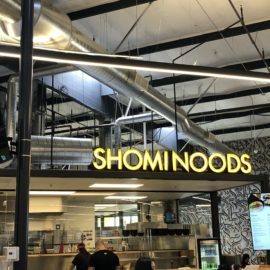 Shomi Noods is for ramen aficionados, offering over five different types. 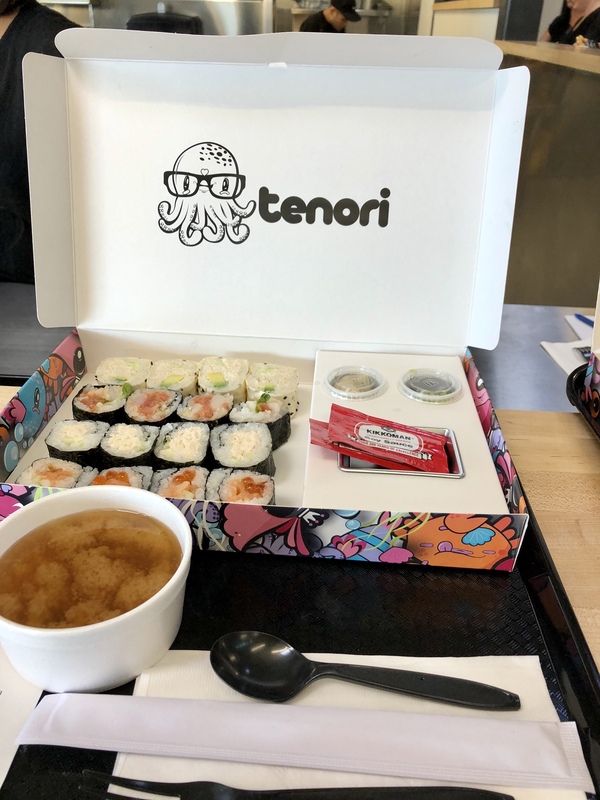 Tenori is a fast Japanese concept with musubi, hand rolls, cut sushi rolls, and more. 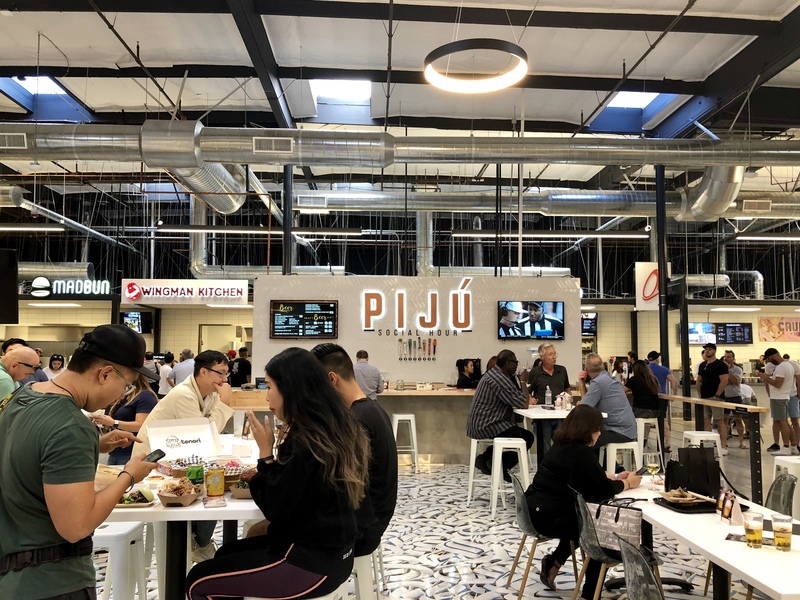 For wine and beer drinkers, Cravings has a bar called Piju where customers can dine and socialize. 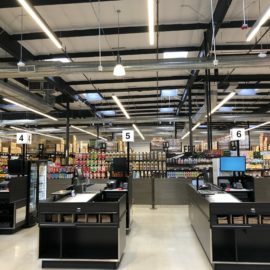 Iconic street artist, Defer, created several amazing murals inside the store by using his signature calligraphy techniques. 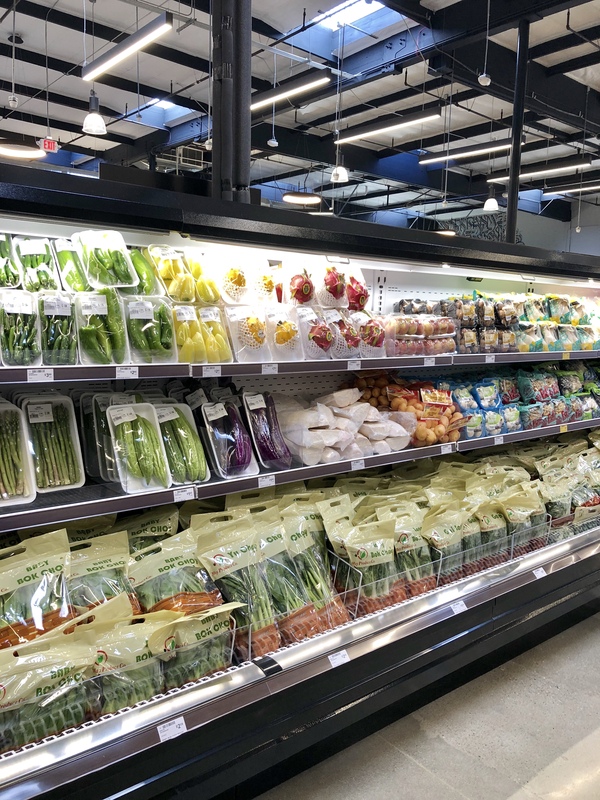 On Saturday, the first 150 customers receive a swag bag with special treats and goodies. 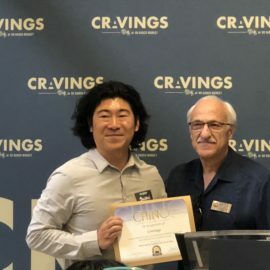 On Saturday and Sunday, October 21, customers can earn high bonus points plus a special edition Cravings tote bag when they sign up for the Cravings loyalty program. 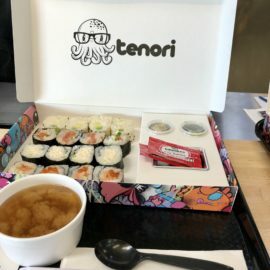 There are also gifts if customers follow Cravings on social media. 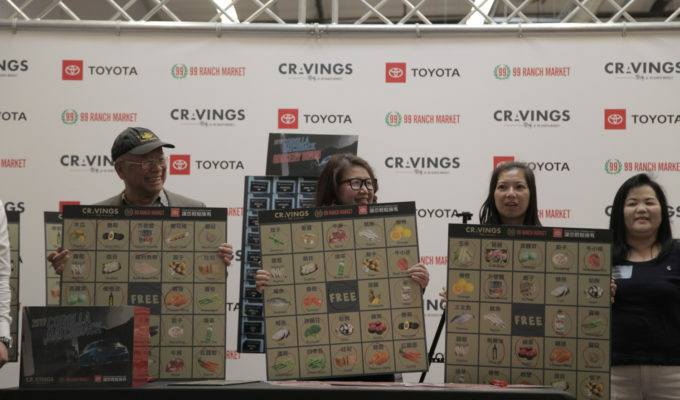 In addition to the grand opening festivities, from October 20 to December 31, customers can enter the Toyota sweepstakes for a shot at owning a new 2019 Toyota Corolla Hatchback XSE. 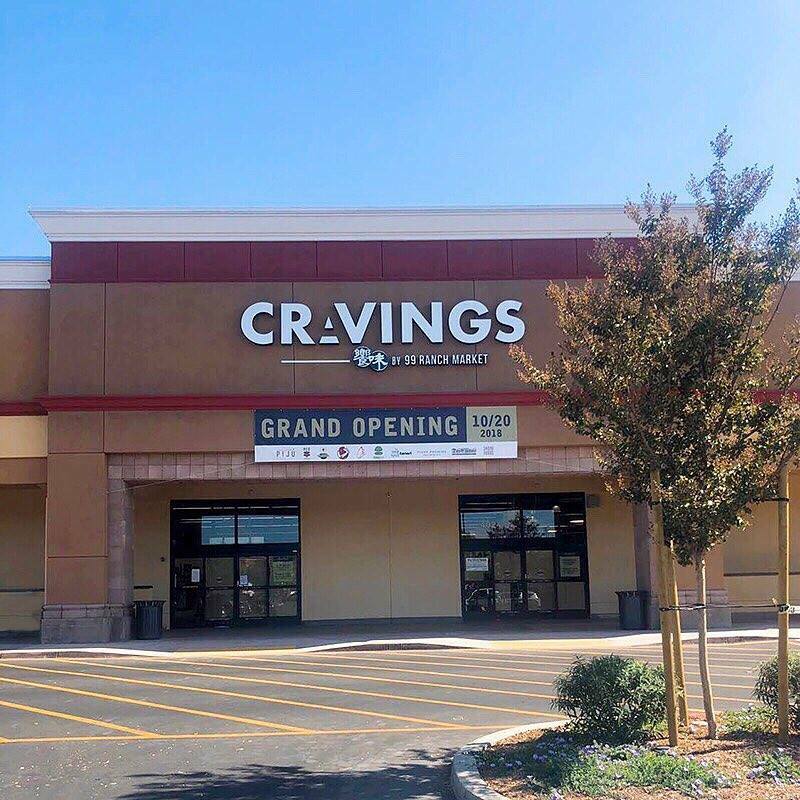 Cravings by 99 Ranch Market is located at the Chino Spectrum Marketplace (4024 Grand Ave., Chino, CA 91710). 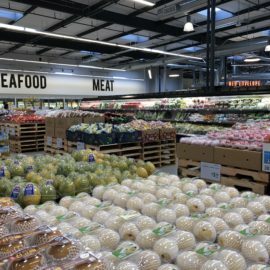 The market is open from 10 a.m. to 10 p.m. on Sunday to Thursday and from 10 a.m. to 11 p.m. on Friday and Saturday; the food hall is open from 11 a.m. to 10 p.m. on Sunday to Thursday and from 11 a.m. to 11 p.m. on Friday and Saturday. 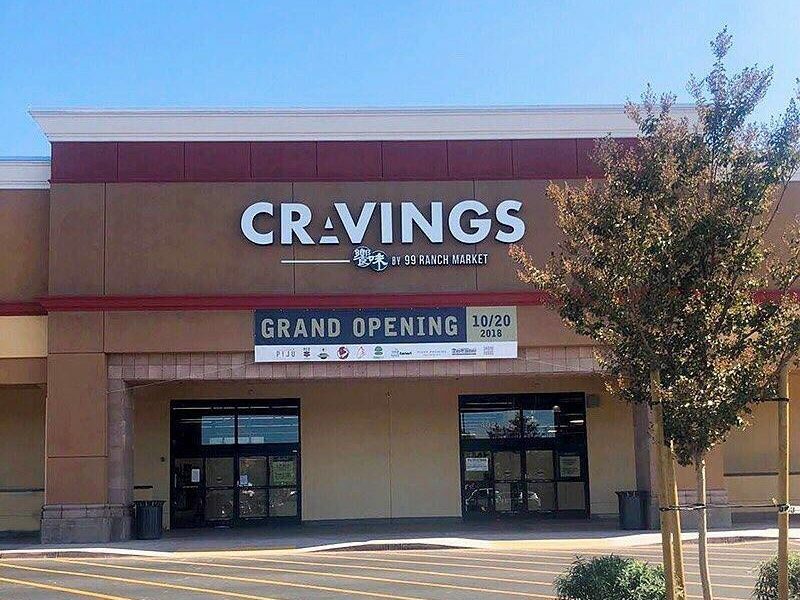 For more information, please contact the 99 Ranch Market customer service hotline 1-800-600-8292 or visit the official website at www.99ranch.com/cravings. 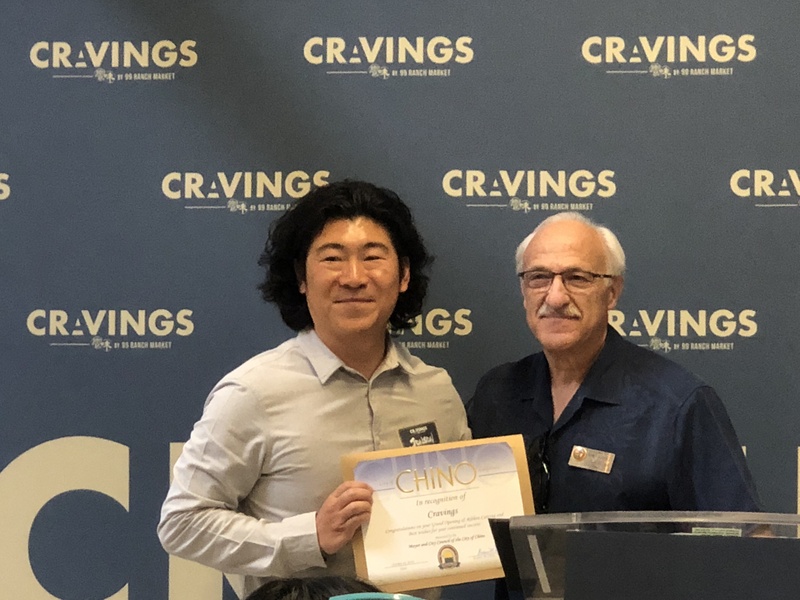 Happy to have this store in the Chino community!